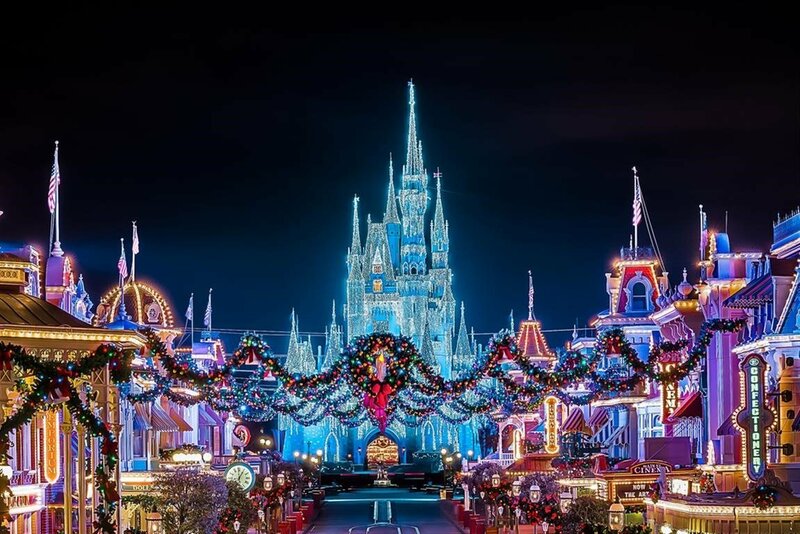 We’re going to skip over Mickey’s Very Merry Christmas Party… for now, because that could fill an article all by itself…but trust us, it’s something you don’t want to miss!! 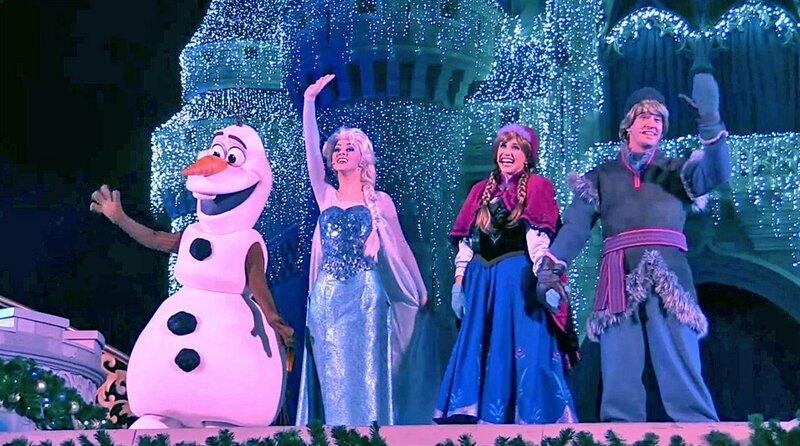 Walt Disney World at Christmas is a whole new experience from your normal Disney visit. 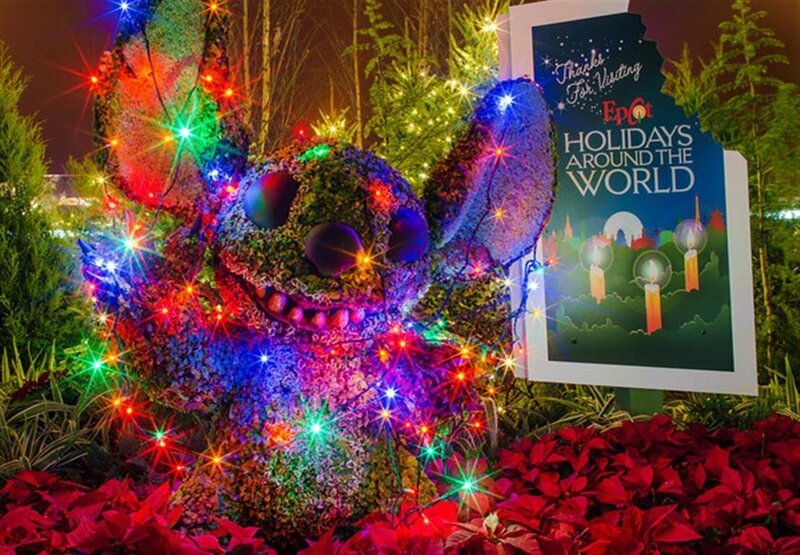 Almost every Park plays its part to get you into the holiday spirit (ahem, Animal Kingdom)… and they do a wonderful job! 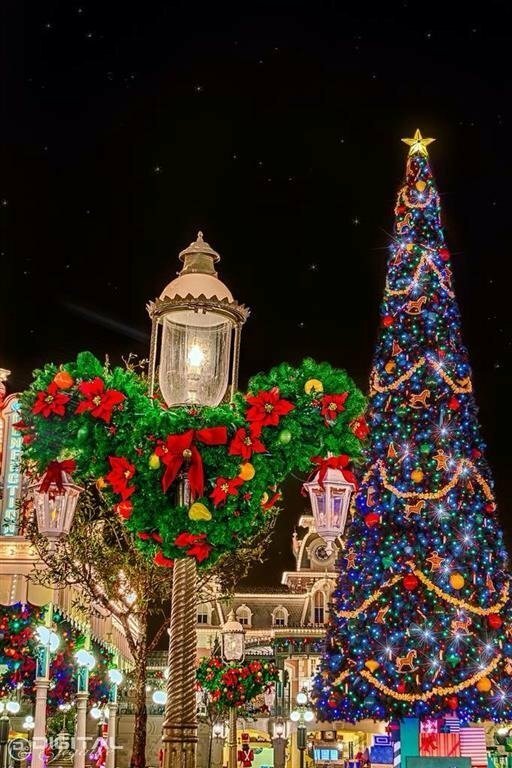 Similar to a Disneyland Christmas, a walk down Main Street will leave you awestruck. 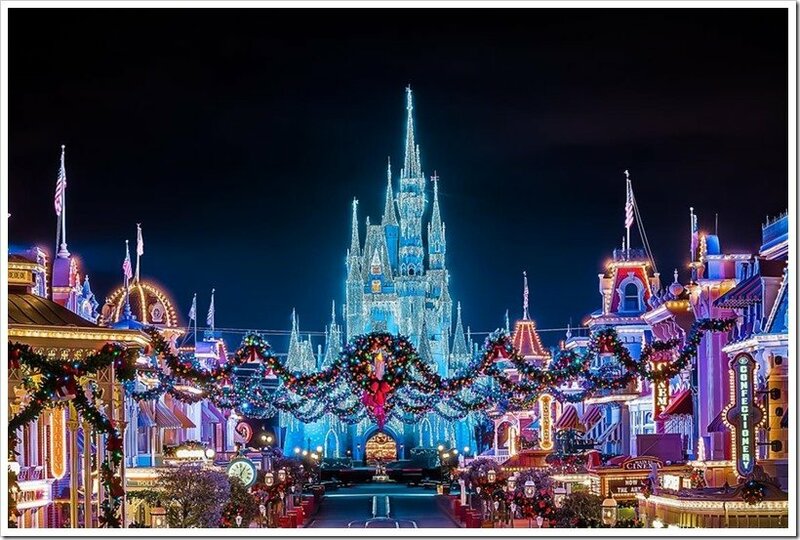 Festive Mickey-ear wreaths, shiney toy soldiers, and Christmas-cheer floods the street leading up to an ice castle fit for Queen Elsa herself. The Magic Kingdom has its own version of the “Jingle Cruise” which now replaces the holiday hole left behind when “Country Bear Christmas” was sadly retired. As far as entertainment goes, “A Frozen Holiday Wish” allows Queen Elsa to show off the full strength of her powers, while transforming Cinderella Castle into an ice castle for the holidays… OK, it isn’t really “ice” but 200,000 shimmering lights give the illusion that it is! 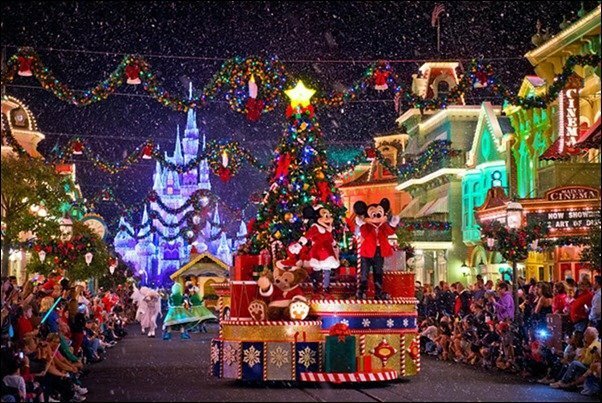 While we’ll stick by our word not to get into Mickey’s Very Merry Christmas Party, we will mention “Mickey’s Once Upon A Christmastime Parade”, that can also be seen during regular park hours after the Christmas party ends for the rest of the year. 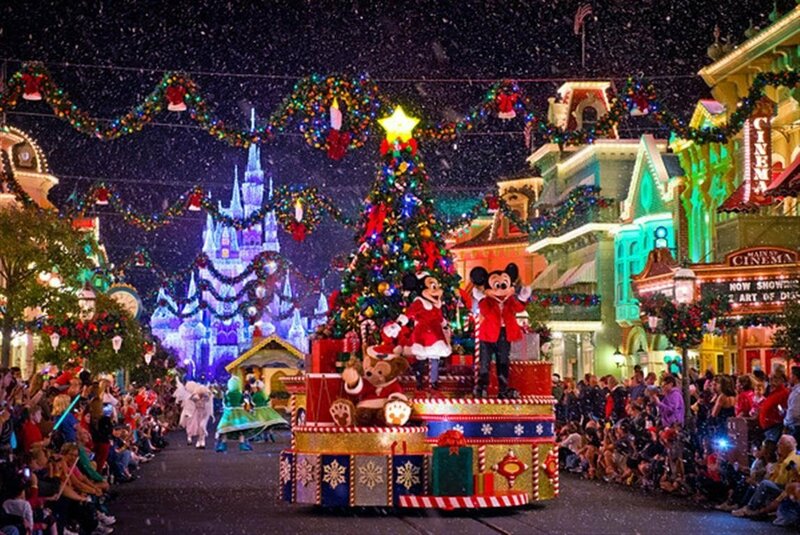 It is a cute, lively, festive parade that is sure to put you in the holiday mood. 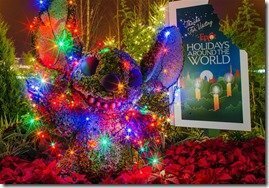 Though it doesn’t quite live up to the Magic Kingdom’s Christmas splendor, Epcot does a great job of letting you see how the holidays are spent by other parts of the world. “Holidays Around the World” at Epcot Marketplaces showcases a different seasonal snack from five of the Marketplace booths representing Countries around the world. On your journey around the World Showcase, you’ll also find Holiday Storytellers who share the traditions and legends of their native countries. Joyful! is performed on the Fountain of Nations Stage and brings together the music and magic that the season represents. 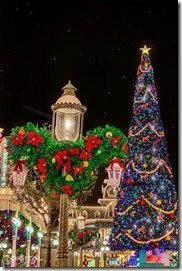 One of Epcot’s most popular holiday traditions has to be the “Candlelight Processional” it’s a traditional retelling of the Christmas story each night by a celebrity narrator, accompanied by a mass choir and a 50-piece live orchestra, performing seasonal hits. For the evening show, Illuminations has been turned into “Illuminations: Reflections of Earth Holiday”, that features all the magic of the regular show, with a special explosive “Peace on Earth” holiday finale. Hollywood Studios has been a favorite of many at Christmas time with the the Osborne Family Spectacle of Dancing Lights drawing people from all over the world to marvel in its greatness. This will be the first year that the display won’t be a part of the Park, as construction for Star Wars Land and Toy Story Land made it impossible to continue the holiday tradition. This year, however, “Jingle Bell, Jingle BAM!” will be doing its best to fill the void. 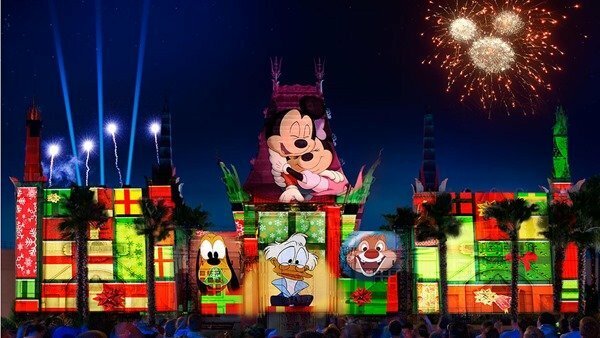 Grauman’s Chinese Theater will be the backdrop for a montage of Disney Christmas favorites featured along with fireworks and holiday melodies.